Whether you are a novice or experienced running mermaid on wheels, challenge yourself to get INTOTRI at the fun and family friendly Bodmin Triathlon. 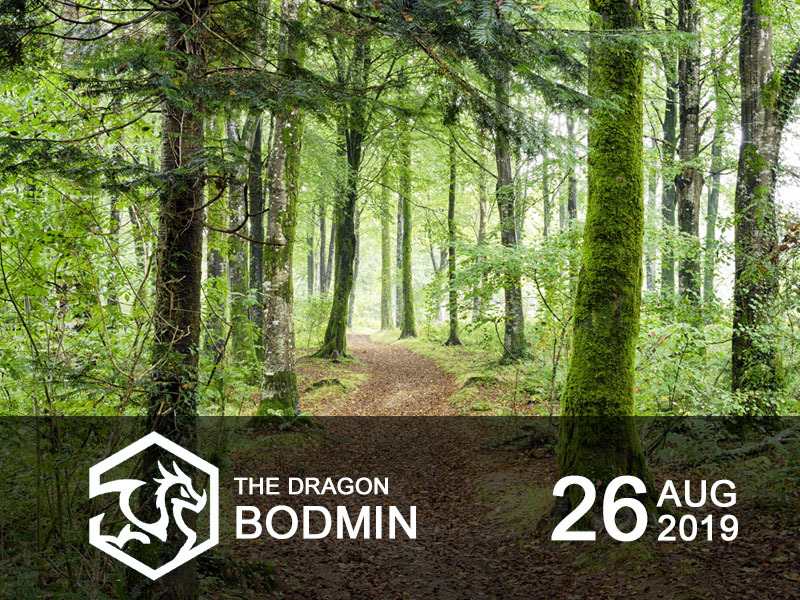 Get fired up for a swim at Bodmin’s Leisure Centre, unleash your inner dragon on a fast, rolling bike course and claw yourself up through the enchanted forest surrounding the run loop towards Lanhydrock’s Victorian estate. With a leafy Sprint course, beginner friendly Super Sprint and JUNIOR EVENTS for all abilities, Bodmin Triathlon is a fun day out for the whole family. £2 covers the cost for pool hire for a child at our School Games events. £50 pays for a bike rack, saving us dozens of pounds in hiring costs. Add a Donation to your Bodmin Triathlon entry. Taking on three disciplines is a test of skill and stamina, especially for the novices (80%) who get their first taste of triathlon at our events. Being cheered on and receiving directions from a marshal volunteering with us is what keeps them going and coming back for more. Volunteers are the face and driving force behind INTOTRI. 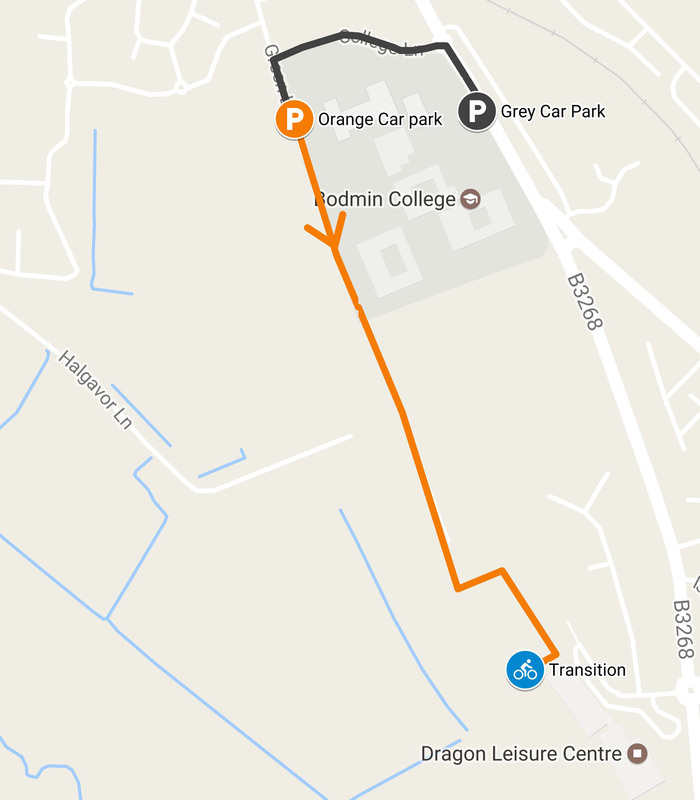 Please use the official event parking and walking routes for your allocated wave as shown on the map below. There will be NO parking at Dragon Leisure Centre or the surrounding housing estates for participants on event day. Marshals will check your parking badge (issued by email) when you enter the car park. To ensure Bodmin Triathlon runs smoothly and is enjoyable for all competitors, please take some time to read through the event pack below. It contains important information on registration, safety briefings, the course, competition rules and handy checklists to get you ready for event day. Bodmin Triathlon results will be available 24h after the event.